The LGZ 9000-10 is a ticking time bomb waiting for power! A mirrored bottom panel gives a detailed look at OBCON's two shark tooth cast basket 10" sub woofers with double stack 120 oz magnets. OBCON's subs come equipped with 4 layer 2" voice coils vented for cooling. 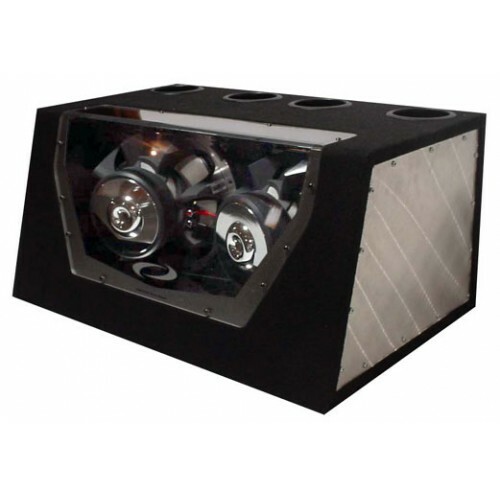 So, go ahead and pump a 1000 watts of power to this Bandpass Bass System and watch the fur fly!! Hurry, very limited supply!